I am fresh off of #IWLA17 and plan on sharing takeaways at some point in the near future. If you would like to see my presentation, you can find it here. Next year, our IWLA Keynote speaker will be Sr. Wooly! Mark your calendars for October 12-13 in Ankeny, Iowa. On the topic of Sr. Wooly, today I have a new edition of libro lunes for you. This is where I share about a new to me book that I have read and plan to add to my FVR Spanish class library. You can read my past libro lunes posts here. In all transparency, he sent me an advance copy to review, but this is my not paid, honest reflection of what I think about La casa de la dentista. You can also see what other teachers think with reviews from Maris, Kara, Arianne & Cynthia. As you can see in my curriculum post, I use Sr. Wooly Pro song materials throughout the year as mini breaks between novel units. You can also see how I use Sr. Wooly songs in this post. While I have Billy y las botas graphic novel in my classroom library, I have never taught a graphic novel as a class. (yet) If I convince my school to get me a class set, I will make sure to take advantage of this great how to teach a graphic novel video series. I would also make sure to get class set of 30, to get the teachers guide for Free! Billy y las botas and the other graphic novels I have in my free reading library are ALWAYS picked during free reading to start class Tuesday and Thursdays. Students love the artwork, tie in to the songs, and the fun of reading something different. I had already pre-ordered a copy of Dentista (which can only be purchased through his store), when Jim asked if I would like an advance copy. 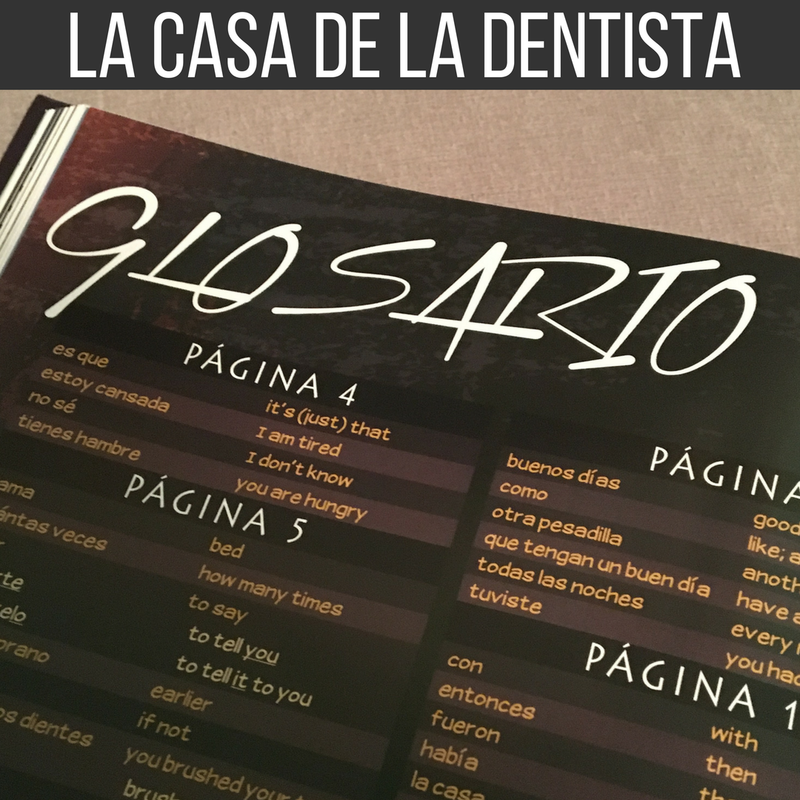 Would I use La casa de la dentista graphic novel? Yes. The story is compelling, the illustrations are gorgeous, and it is different than any other comprehensible reading material for Spanish students I have seen. The story is complex, with many layers and it reminds me of a movie that you have to pay close attention to, or you will be completely lost. As a teacher, I would need to understand it forwards and backwards, or I do not think I would be able to do it justice, or even answer questions from students as we read. Another great addition is how the glossary is sorted by page, which is very convenient, especially for free reading. Who would I use this graphic novel with? Since I teach grades 7-12, the hardcover La casa de la dentista is a great suspenseful addition to my class library. I personally would not use it if I taught elementary, as it may be pretty scary to little guys. My own little boys were very interested in mama's new book, but I knew that it would be too "spooky" for a kid who already made us hide a children's Halloween book he thought was to scary. When would I teach it? If I was using it as a full class novel, I would wait to use it until Spanish 2 or above. There is a good amount of vocabulary that would need to be pre-taught for a successful reading experience. I always shy on the side of using easier books to build reading confidence, which can then be discussed at a high level. Plus this particular story is complicated and was even kind of hard for me to follow on my first read. With the suspenseful themes, it would be the perfect October novel around Halloween. The song La Dentista, while not a prerequisite, would obviously make a great hook to the unit. How would I teach it? Since I currently do not have the funds for a class set, for now I will just have it as a part of my classroom library. If I could get a few copies, it would also be a great option for a literature circle in upper levels. 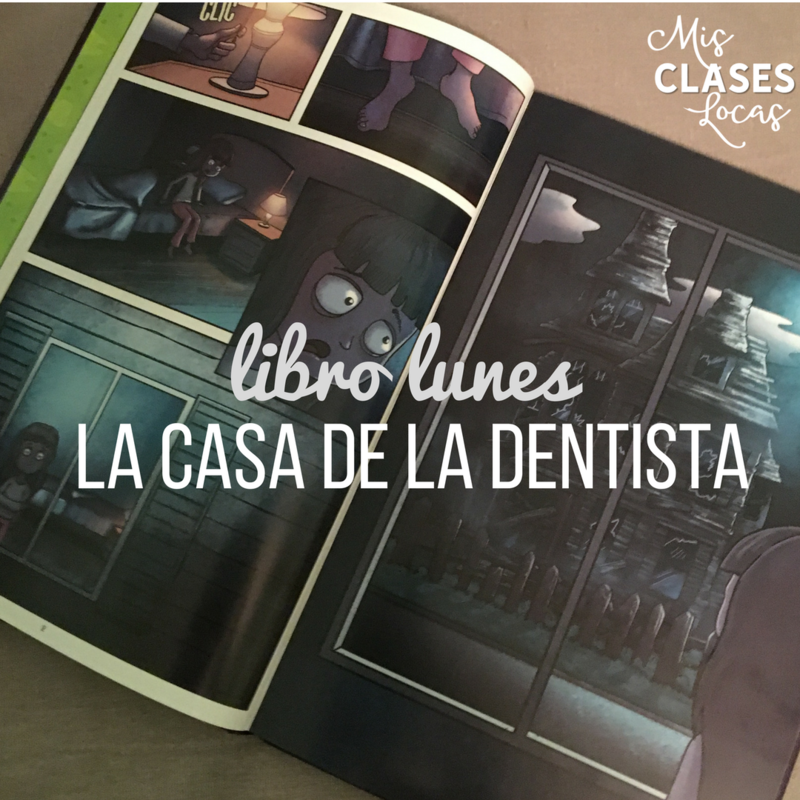 I can think of a few reluctant readers who would think La casa de la dentista is an awesome alternative to reading a traditional novel in lit circle format. In a perfect world I would get class set of 30, which would come with the teachers guide. I love teachers guides because they do the work for you! I would also need to check out the how to teach a graphic novel video series to give myself some pointers on how to get the most out of a graphic novel. Hopefully I will get to do this within the next couple of years, because I think this is something my students would really enjoy. 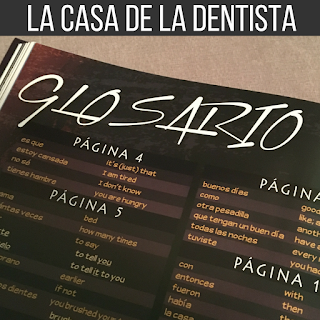 Have you read La casa de la dentista? What are your thoughts? How would you teach with it?